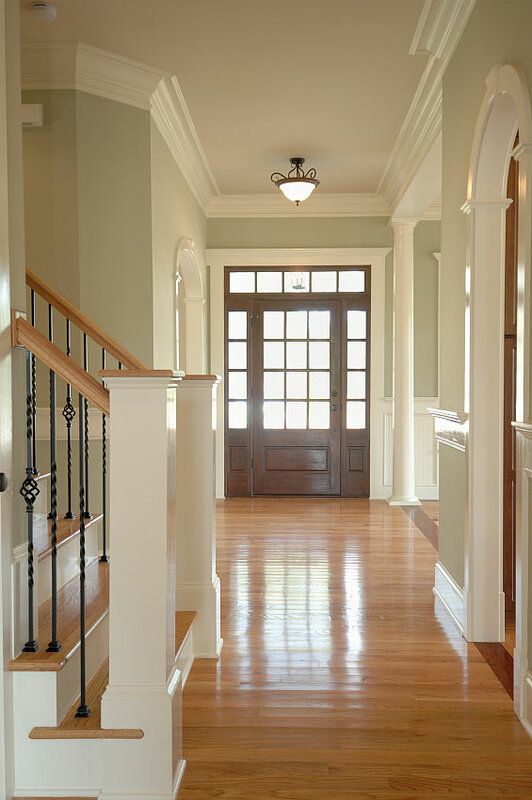 The entryway to your home can make a lasting first impression and also plays a critical role in setting the mood for the rest of your home. This sophisticated entryway spares no architectural details, and sends the message to all who enter that extra care and thought was put into the design of this home. The custom designed black iron balusters add a modern twist to this traditional stairway, and I can only imagine that the rest of the house follows its lead. The white 3 piece crown stands out softly against the light pistachio colored walls. Our AB158 crown would be a good choice to achieve this look. The front door is neatly trimmed with casings similar to the AD318 and AD315. 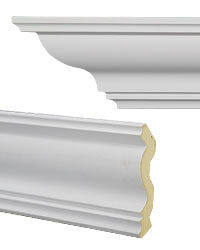 A tall baseboard similar to the ET8906 was used in addition to a quarter round shoe molding. A full column similar to our Round Tapered Column was used which provides visual separation between the entry way and adjoining room while creating a formal entrance to the home.